Make crispy tofu pieces, like I did in Sweet and Salty Stir Fry. Follow steps 1-6 to dry, slice, and saute the tofu in hot oil in a shallow pan until they start to brown. 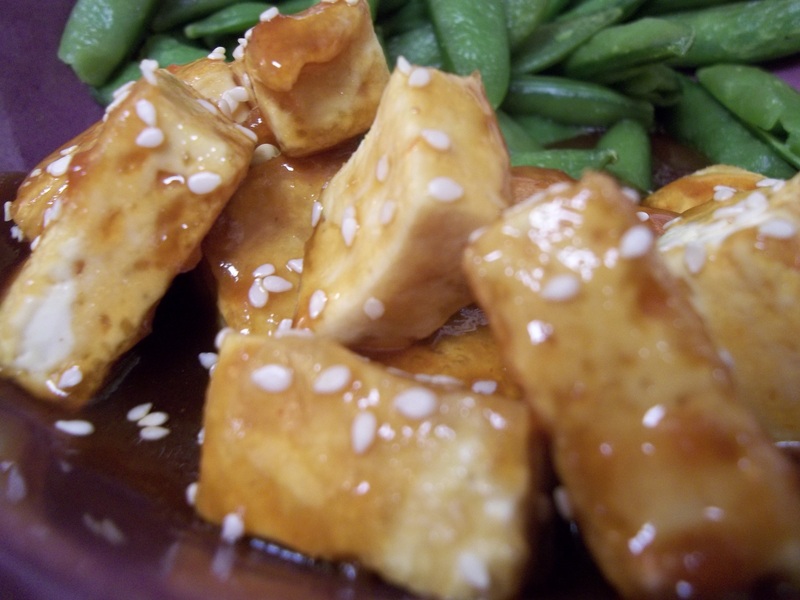 While the tofu is cooking, make the honey sauce by combining soy sauce, sesame oil, honey, agave nectar, plum sauce, apple cider vinegar, and chili powder. Heat the sauce on low until it starts to bubble, whisking thoroughly. Then add 1 tbsp. soy flour to thicken, and stir for just another minute. 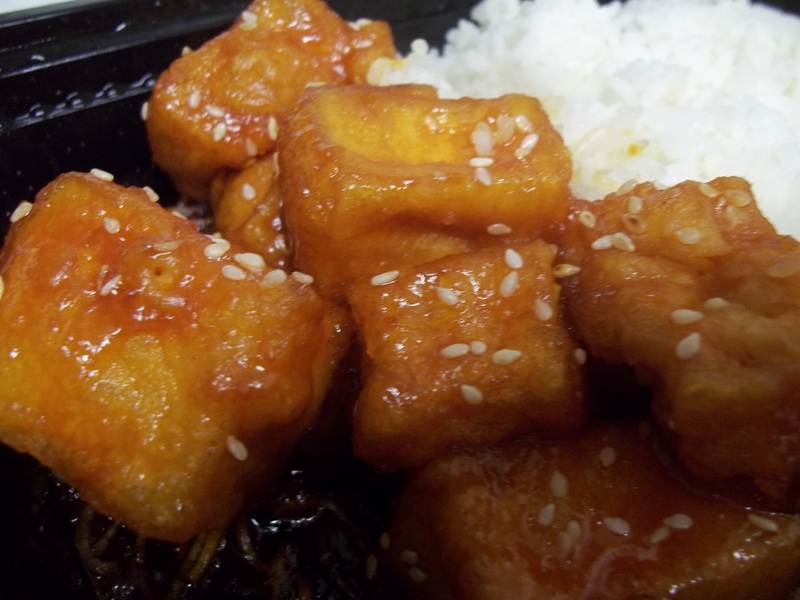 Pour the sauce over the tofu, sprinkle some sesame seeds, and serve over rice and/or vegetables. Pretty close… and I am sure my version is healthier! Thank you so much for posting this recipe. I love ordering this dish when I can find it at a Chinese restaurant but not all have it. Even better that it is a healthier version! Wow, these look great. I will be trying these soon. My boyfriend loves a dish at Pei Wei, I can’t remember the exact name but he says the tofu tastes like pancakes and syrup. These look equally as yummy!